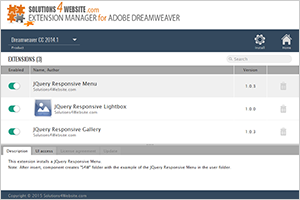 HTML5 Skill Bar is distributed as an Adobe Dreamweaver extension, packed as a file, named JQSkillBar.mxp. Read more in the online help. Our extension will help you to create simple, animated and very nice looking Skill Bars. 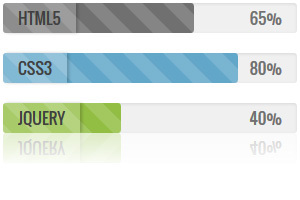 The Skill Bar gives you an opportunity to show some info in a stylish and attractive way in a form of percentage bars. It is a quick and colorful way to showcase your infographic to your site visitors - just add bar title, percentage and color. Skill Bars are very useful in personal portfolio site or site where you need to demonstrate some statistics. Component is powered by jQuery and it has clear and comprehensible Wizard, you can easily set up, change appearance and edit the content of the Skill Bar without digging into CSS files or code! So you don't need to be an expert in web design and to know programming languages to add professionally looking Skill Bar to your site. 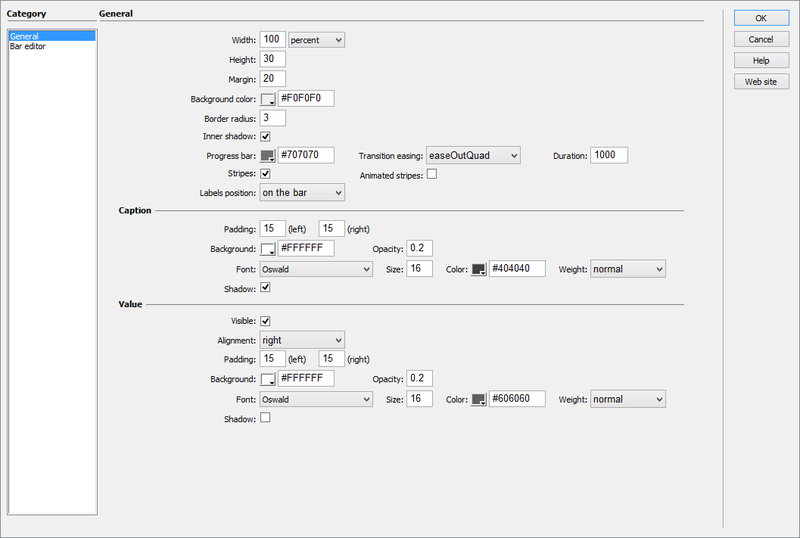 Just insert the Bar into your page and change parameters through Wizard according your design to match the site theme. The installation package contains Dreamweaver extension, providing you the ability to easily create HTML5-powered Skill Bars, all in Dreamweaver CS3, CS4, CS5, CS6, CC 2014, 2015, 2017 and CC 2018. Using the user-friendly user interface, you can adjust almost all colors, fonts, sizes, spacing and wide range of options according to your taste. Bars have stylish animation to make them more attractive to site visitors. Installation package contains Dreamweaver extension. reamweaver extension allows you to easily create Skill Bar. Extension has user friendly interface.